RICHARD NOWAK FINE ART: Last Friday we had three students for my Acrylic Painting Class at the Hadley Michaels. Patti pictured below from an earlier class and her son Luke painted a floral scene of the Bridge of Flowers in Shelburne Falls. They did a great job! 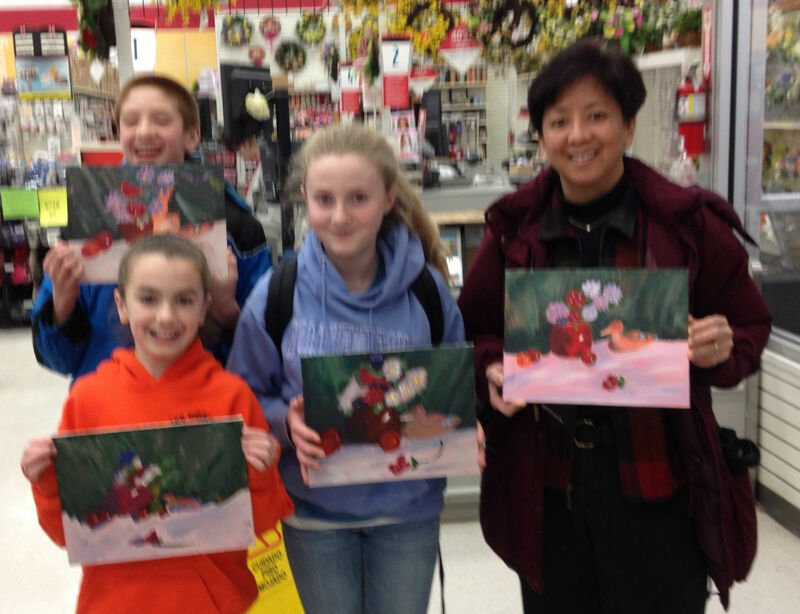 Last Friday we had three students for my Acrylic Painting Class at the Hadley Michaels. Patti pictured below from an earlier class and her son Luke painted a floral scene of the Bridge of Flowers in Shelburne Falls. They did a great job!